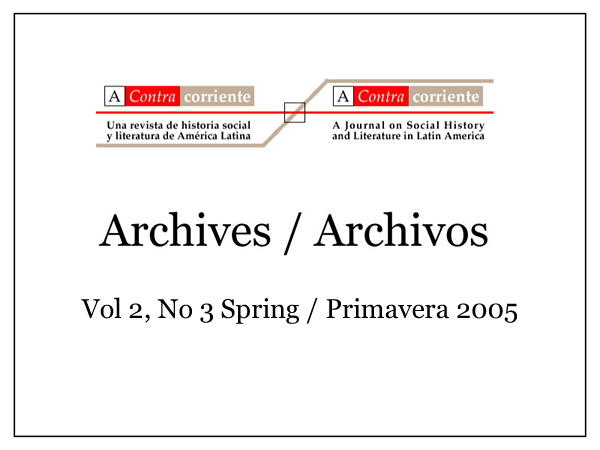 The author analyses the figures of María Luisa Marín and the women of the Veracruz Renter's Movement as key actors in the social struggle in Mexico. Andrew Grant Wood is author of Revolution in the Street: Women, Workers and Urban Protest in Veracruz, 1870-1927 (Scholarly Resources Inc/Rowman and Littlefield, 2001) which won the 1999 Michael C. Meyer Prize for best first manuscript in Latin American History and the 2002 Thomas F. McGann Prize from the Rocky Mountain Council on Latin American Studies. He is editor and contributor to On The Border: Society and Culture Between the U.S. and Mexico (Scholarly Resources/Rowman and Littlefield, 2004) and is currently finishing a biography of Mexican songwriter Agustin Lara. Wood is also the producer and director of a short documentary film on the Carnival celebration in the Port of Veracruz, Mexico. He plays guitar and saxophone and teaches at the University of Tulsa.